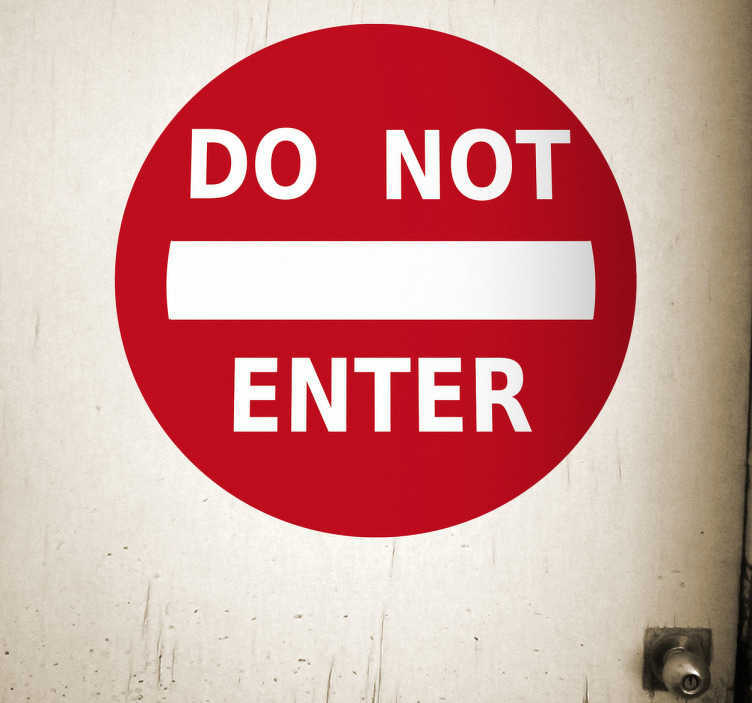 DO NOT ENTER sign sticker in striking red. Prevent entry into any room or area with this design. Ideal to be placed on the door. Useful sticker to make everyone aware that they must not enter the area of your choice. Do you want you to stop your parents from entering your room? Or do you want to make your room to look like a mysterious or a VIP area? Then this is the perfect sticker for you, decorate your door with this decal to make sure no one invades your space! The sticker is easy to apply with no air bubbles.